Are We Looking at the Sky the Wrong Way? It’s the beginning of the second half of the year, a chance to review how the first half went and figure out where we want to be by the end of the second half. A chance to step back for a moment, take stock and ask ourselves if we’re looking at things the right way. There are lots of business books, concepts and parables to help us do this. One that comes to mind regularly is the parable of the boiled frog from Peter Senge’s book The Fifth Discipline. The story goes that the frog will react to sudden changes, like being dropped into boiling water, but will not notice and respond to gradual changes in temperature if you put it in cooled water which you then heat slowly. 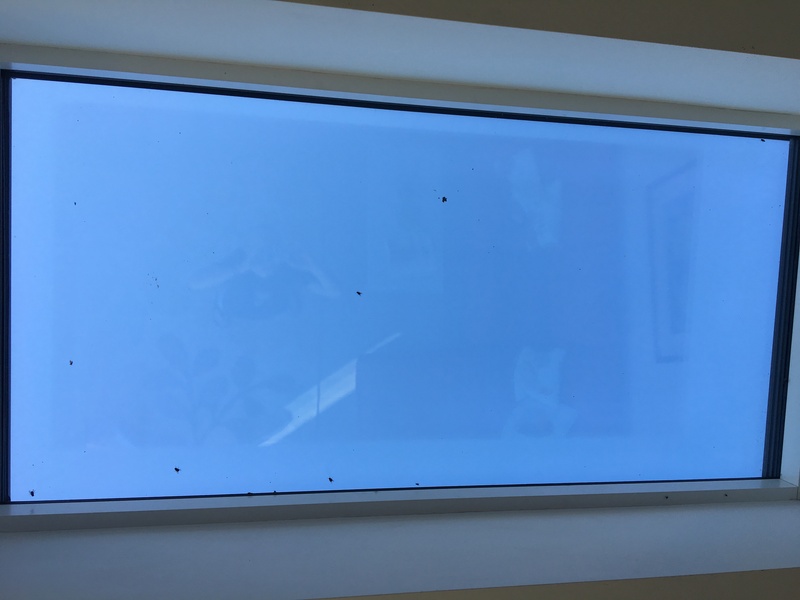 I’d like to offer another parable: the fly in the skylight. We’ve all seen moths round a lamp or flies on a window. They’re both in search of the light. I was reminded of this recently when I noticed the skylight in our sun room. We were enjoying a spell of warm weather and this had drawn a number of flies inside and into the recess containing the skylight. You can probably see them in the picture. The flies can see the sky, their way out or so it seems. They will constantly bang against the skylight, searching for a way out, until they die of exhaustion and lack of food. Their problem is that they’re looking at the sky the wrong way. They need someone to show them the open window or door lying a few metres away that are 100% better ways for them to get to where they need to go. So as I embark on the second half of the year, I ask myself this question? Am I choosing the right path for trying to get where I want to go, or am I stuck in the recess, looking at the sky the wrong way and not noticing the glass which blocks my path?